Paint certainly deserves a special mention when it comes to scale modeling. It's one of the last steps and one of the trickiest, most challenging, of model building techniques. Not to mention the most important. It's the one in which your work will be judged by others - you can't hide flaws in the final finish. There are basically three different types of paint; lacquer, enamel and acrylic. Lacquer is an excellent paint with a very strong solvent base, adheres well, and goes on thin without obscuring detail. It's considered one of the best for high-gloss finishes, especially in the car modeling circles. The one drawback is that it attacks plastic if put on too heavy. The best way to apply lacquer paint to models is to dust it on, then gradually build it up. Enamels were the standard for many years in modeling, and do work well, especially with stronger solvents such as turpentine or lacquer thinner. The main drawback is they go on rather thick and can take up to two days to thoroughly dry before weathering. Acrylic water-based paints have been gaining much popularity over the last few years, and are now becoming the standard. Brands like Tamiya, Vallejo, Andrea, Liquitex, Cell-Vinyl and Creatix are great paints for both airbrushing and hand brush painting. 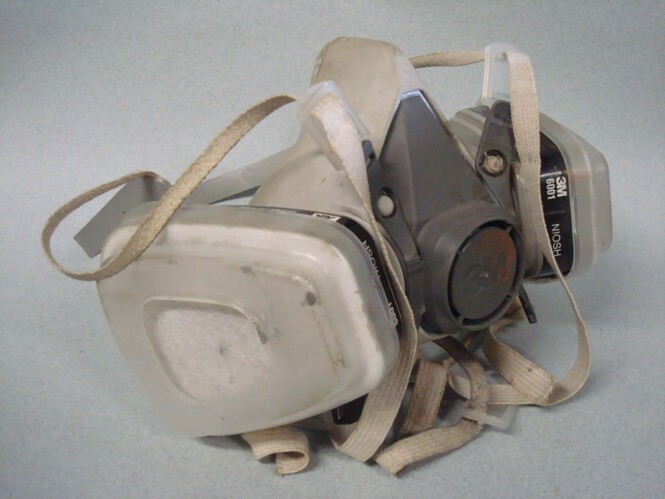 And as a bonus, they are non-toxic for those who like long modeling sessions without the worry of breathing in dangerous fumes and feeling fatigue. In the world of armor modeling, Tamiya brand acrylics are pretty much the standard and most widely used. They adhere very well, have a great color range and are easily accessible at hobby shops and some craft stores. They take the abuse of weathering, and they're quite permanent. 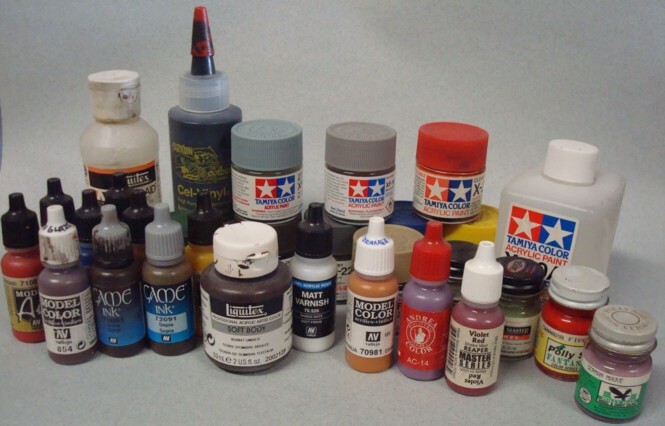 A note about Tamiya brand acrylics; use only their brand of thinner for these paints, as it seems their formula is a little different from other brands. Rubbing alcohol will work fine, but Tamiya thinner is the best. Preparation is everything with metallic paints. Let's start from the beginning. Because metallics show every flaw on the surface of the model, we must prepare the surface to a polished look in the raw before applying the paint. The actual paint itself goes on microns thin, and shows even the smallest details. I suggest filling all seams, and polishing with a good plastic polish such as Novus 2 or Blue Magic (an automotive metal/plastic polish). Also, use Novus Polishing Mates - this is a non-abrasive cloth-like material that won't scratch or mar the surface. The model can then be cleaned with rubbing alcohol or dish detergent and water. The other approach after polishing, which Alclad recommends, is to spray a nice gloss black base coat before applying the metal paint. The black needs about an hour in between coats, and overnight before the metallic is applied. The other nice thing about a black undercoat is that it allows you to tone the metallic surface, making it more realistic. 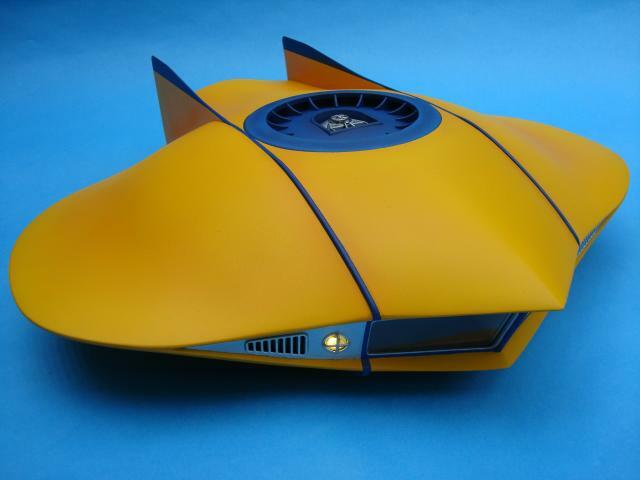 Water-based Inks are relatively new to modeling, but offer some great results. They are very fluid, and the colors are extremely bold. I've found that they're similar to thinned artists' oil paints, and can be mixed with regular acrylic paint for different effects. They're great for general washes, and weathering effects, as well as simulating wood. For instance on wood; if you apply a base coat with a color like yellow ochre, or a shade of tan, then take some thinned acrylic ink such as sepia or chestnut and streak it across the surface with a flat, slightly worn brush, you'll see different shades of brown and the light tan peering through giving a very realistic wood-like effect without too much effort. The key is to thin the ink to the right ratio. Afterwards, seal with a satin water-based varnish. If an airbrush is not within your budget, spray cans will have to do the job for the time being. The main disadvantage with spray cans is the limited selection of colors, and no real control of paint volume. However, you can get very good results especially with proper application and preparation. Shake the can well before using, and test on some scrap cardboard before going over to the model. Spray at different angles and don't hold too close. The trick is to spray in quick strokes past the model and don't let it go on too heavy. Warming the can in water before will also help you obtain a finer spray. Airbrushing is of course the best way to apply paint, not only do you have total control of the amount of paint that gets applied, but you can mix-up your own colors and add special effects such as shadows, highlights, weathering effects and more. The type of paint you use really doesn't matter, that's really personal preference. It's the results that count. Some modelers use a combination of enamels, lacquer and acrylics on their projects to get a different variety effects. Some types of paint are better for certain things; lacquer is probably the best choice for a high-gloss finish on a car model or commercial airliner. Acrylic on the other hand is excellent for figure modeling and armor modeling. Enamel works well on figures and general modeling, but the choice is up to you, practice and experiment with different paints, you'll see that the possibilities for a realistic finish on your miniature are endless!